"There's nothing so mortifying as to fall in love with someone who does not share one's sentiments." 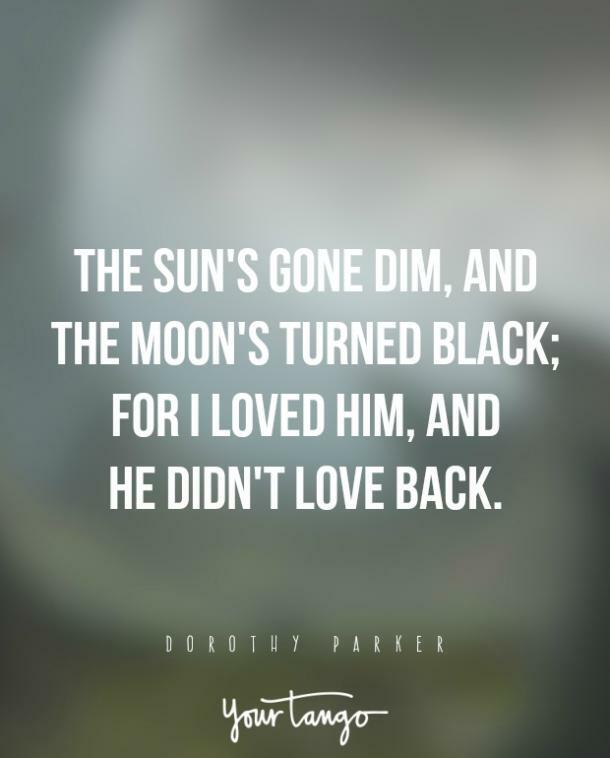 That Dickens quote is one of the most-oft cited quotes on unrequited love. But like Estella, it leaves me a little cold. 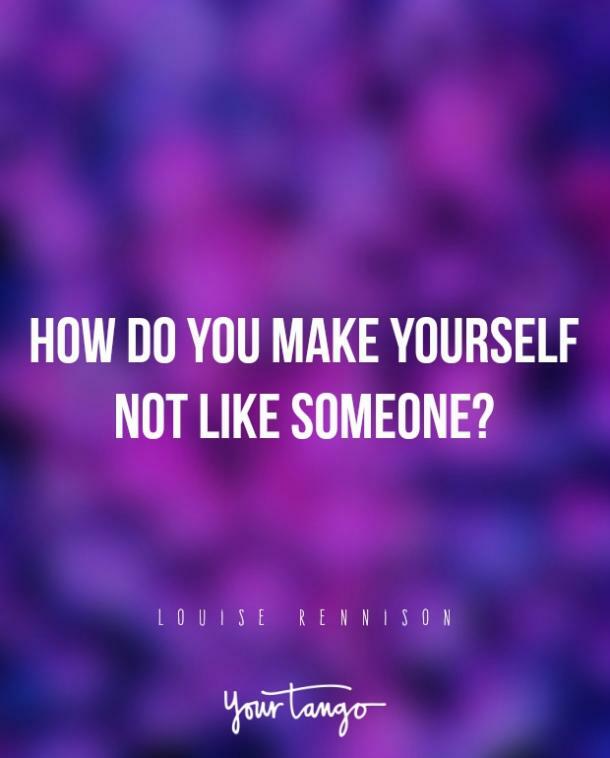 Here are some possibly less well-trod unrequited love quotes, whether you love someone who doesn't love you back, or you are loved by someone you don't love back. 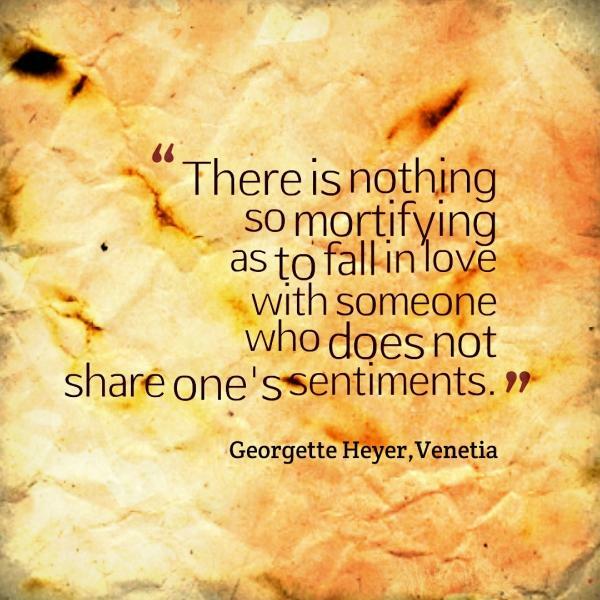 "There is nothing so mortifying as to fall in love with someone who does not share one's sentiments." 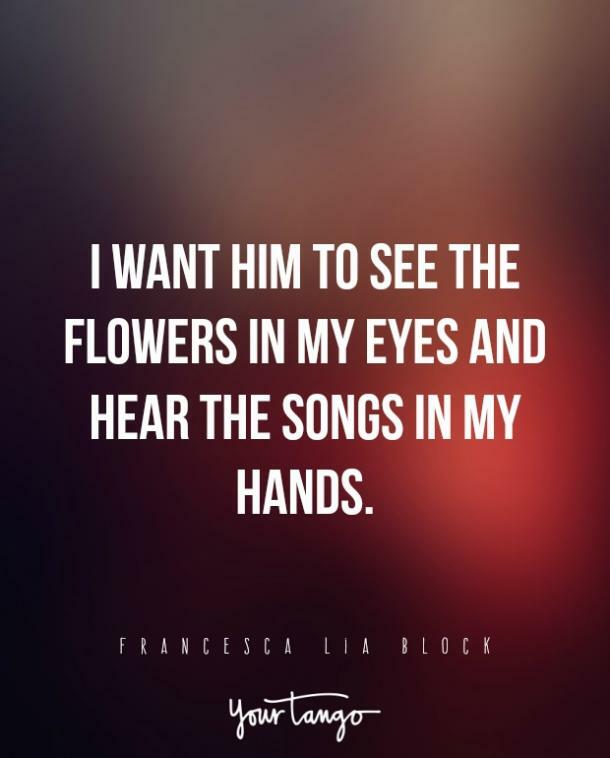 "I want him to see the flowers in my eyes and hear the songs in my hands." 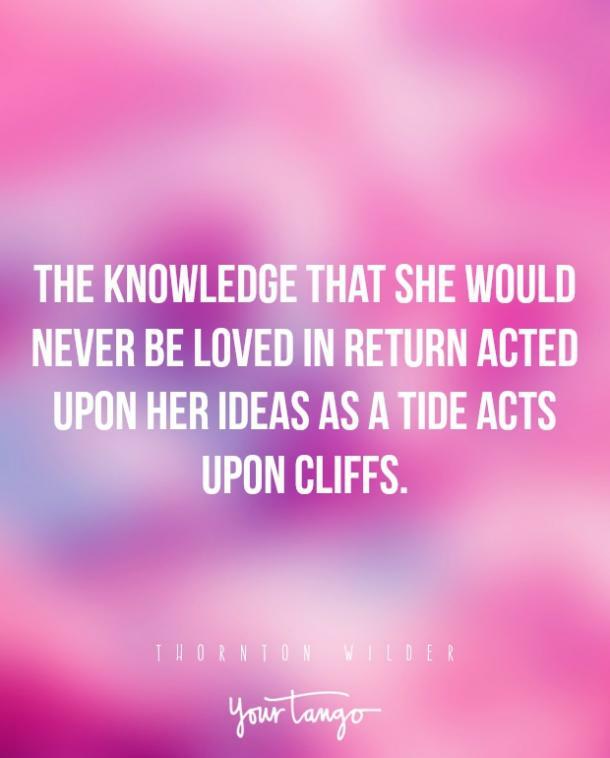 "The knowledge that she would never be loved in return acted upon her ideas as a tide acts upon cliffs." 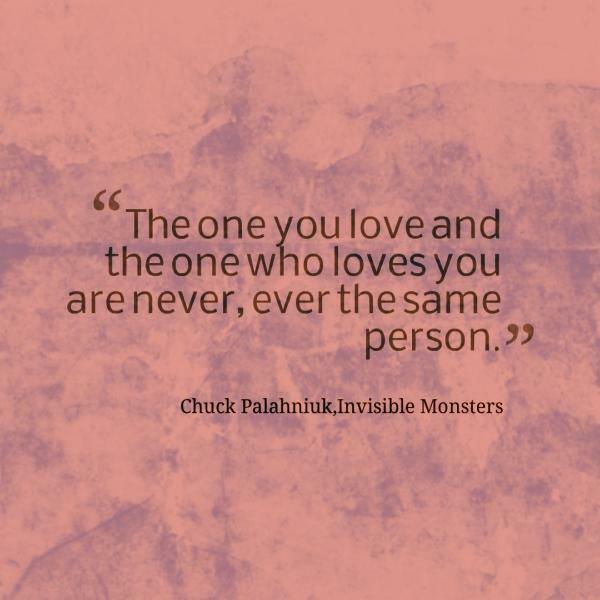 "You have never loved me as I love you — never —never! Yours is not a passionate heart — your heart does not burn in a flame! 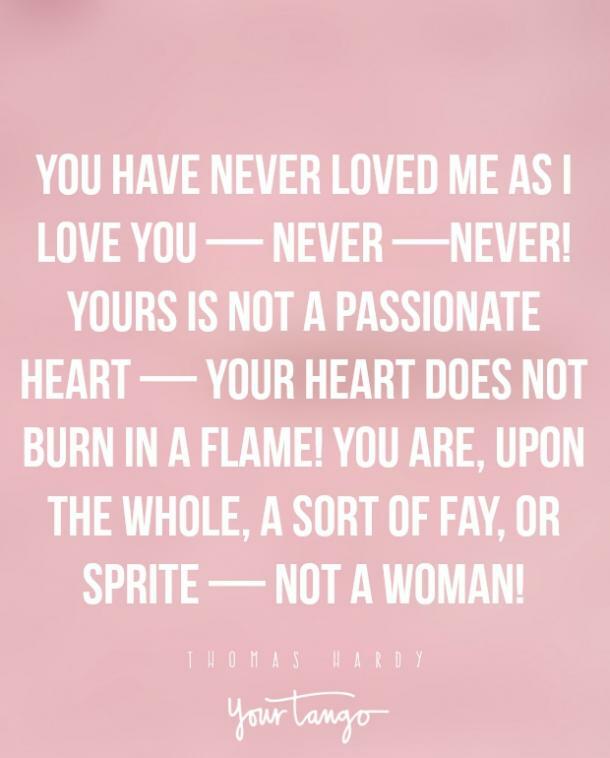 You are, upon the whole, a sort of fay, or sprite — not a woman!" To strongly, wrongly, vainly love thee still." 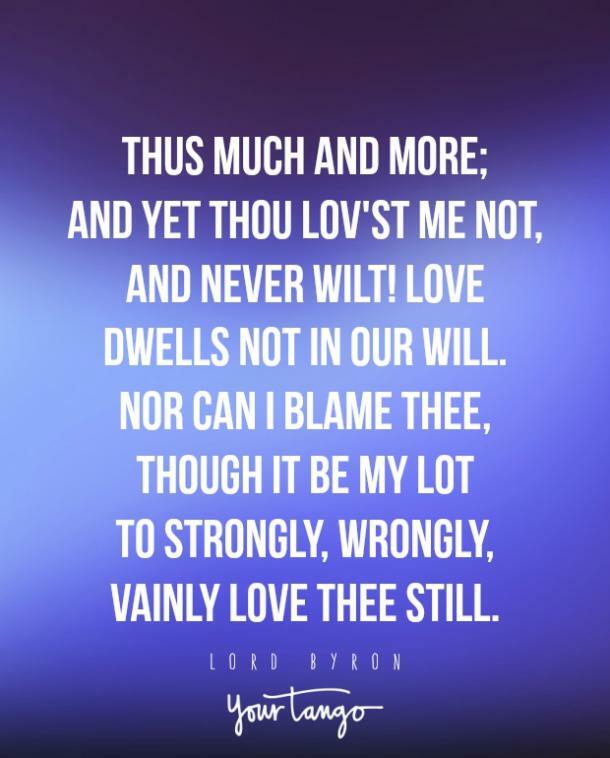 ― Lord Byron, final verse of "Love and Death"
"To want and not to have, sent all up her body a hardness, a hollowness, a strain. 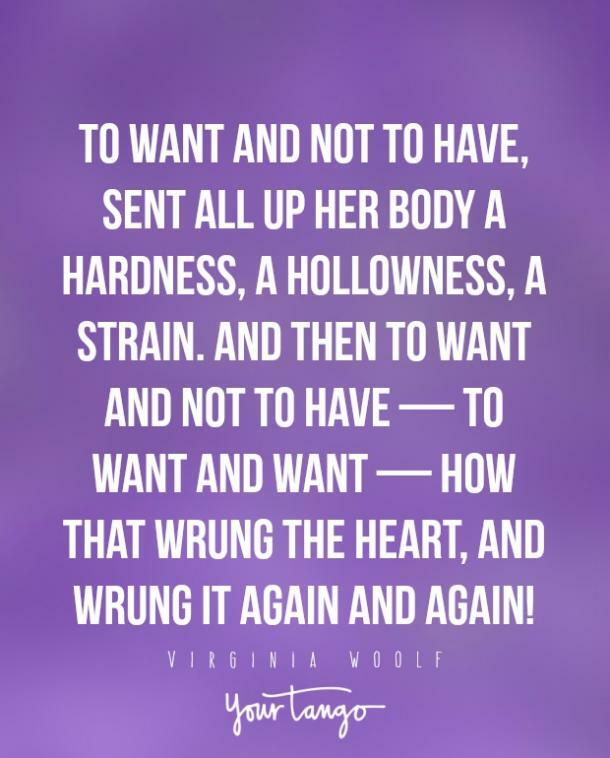 And then to want and not to have — to want and want — how that wrung the heart, and wrung it again and again!" 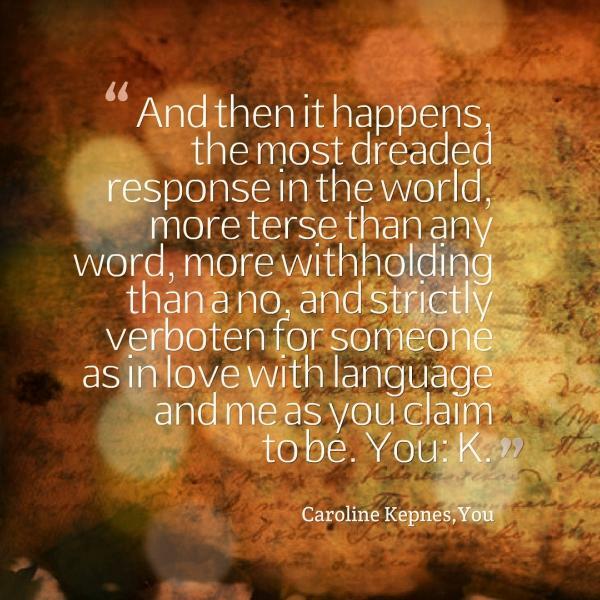 "And then it happens, the most dreaded response in the world, more terse than any word, more withholding than a no, and strictly verboten for someone as in love with language and me as you claim to be. You: K."
"Unrequited love is so boring. 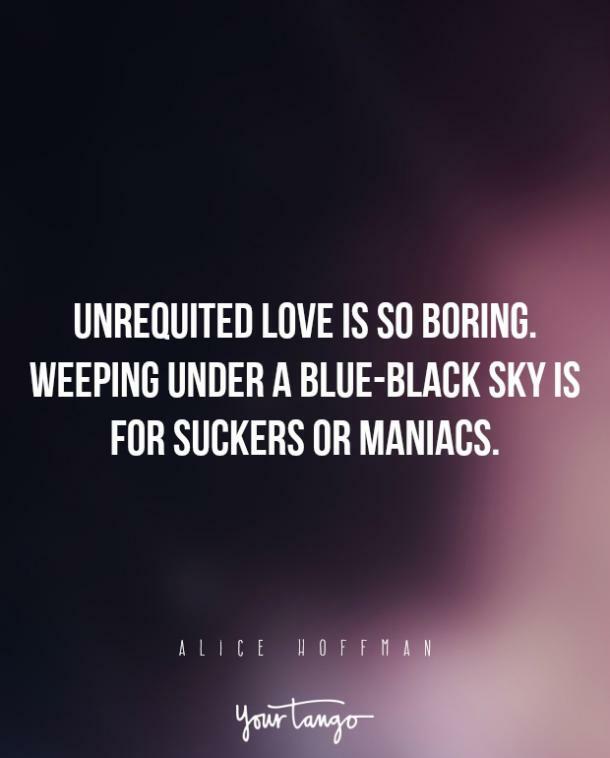 Weeping under a blue-black sky is for suckers or maniacs." 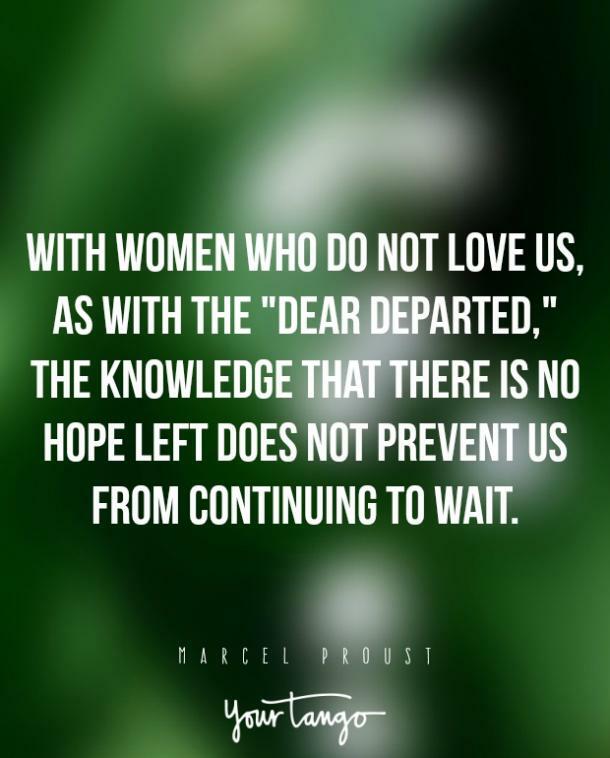 "With women who do not love us, as with the "dear departed," the knowledge that there is no hope left does not prevent us from continuing to wait." 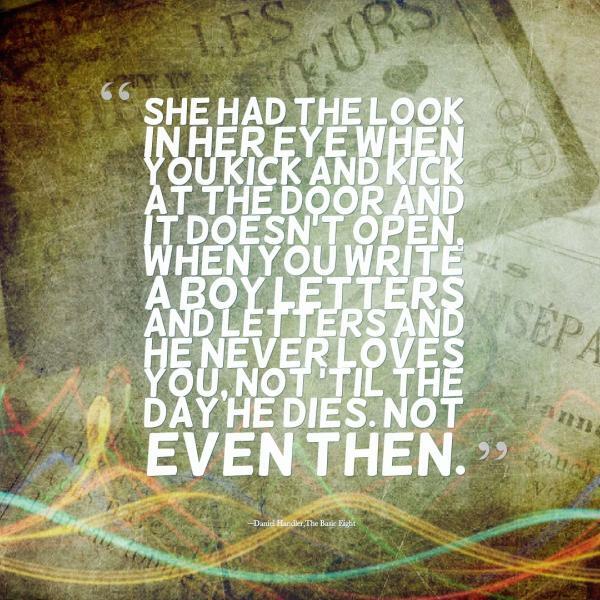 "She had the look in her eye when you kick and kick at the door and it doesn't open, when you write a boy letters and letters and he never loves you, not 'til the day he dies. Not even then." "I never expected you to love me, I didn't see any reason that you should. I never thought myself very lovable. I was thankful to be allowed to love you and I was enraptured when now and then I thought you were pleased with me or when I noticed in your eyes a gleam of good-humored affection. 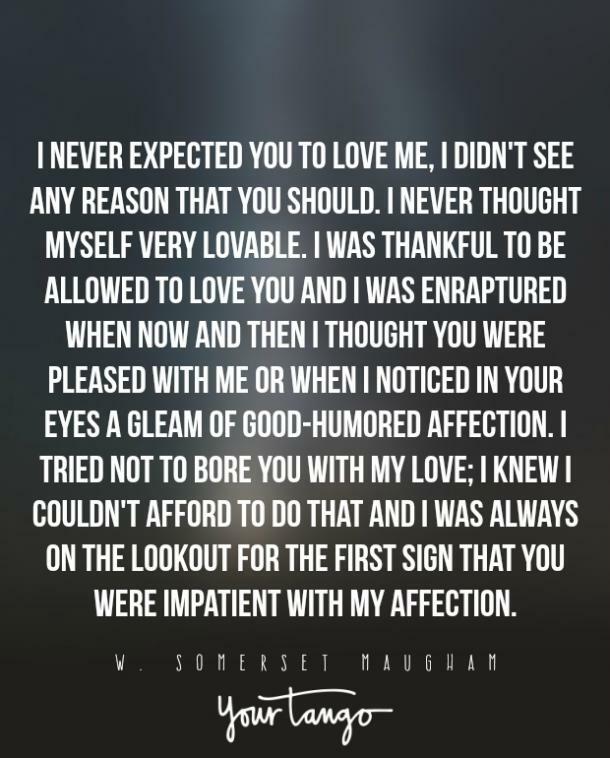 I tried not to bore you with my love; I knew I couldn't afford to do that and I was always on the lookout for the first sign that you were impatient with my affection." 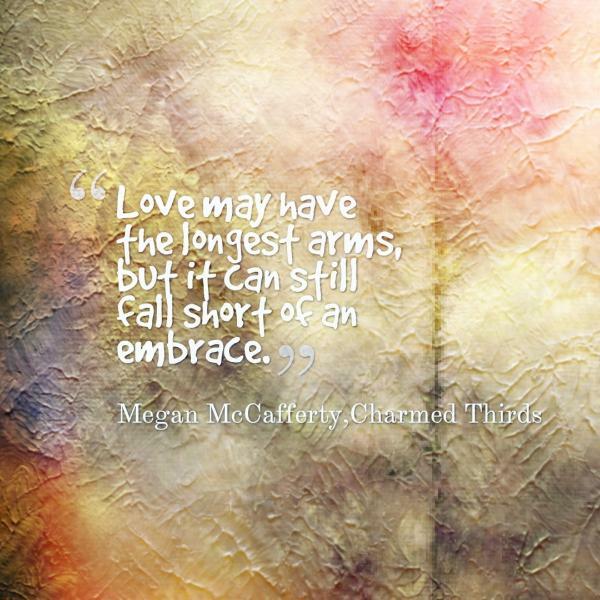 "Love may have the longest arms, but it can still fall short of an embrace." Was there another Troy for her to burn?" 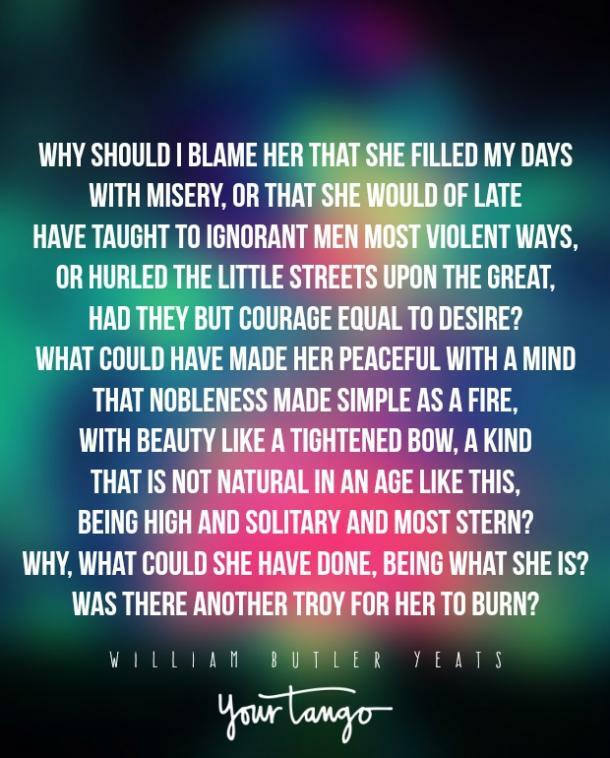 ― William Butler Yeats, "No Second Troy"
"Too many of us are hung up on what we don't have, can't have, or won't ever have. 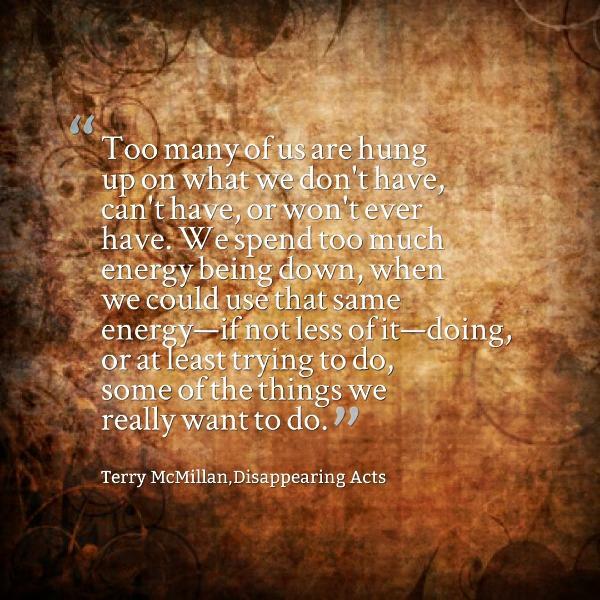 We spend too much energy being down, when we could use that same energy — if not less of it — doing, or at least trying to do, some of the things we really want to do." 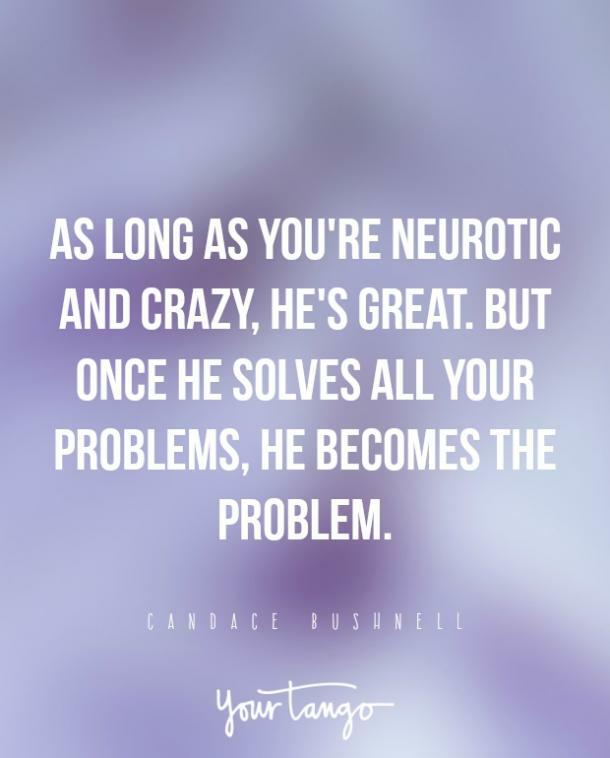 "As long as you're neurotic and crazy, he's great. But once he solves all your problems, he becomes the problem." 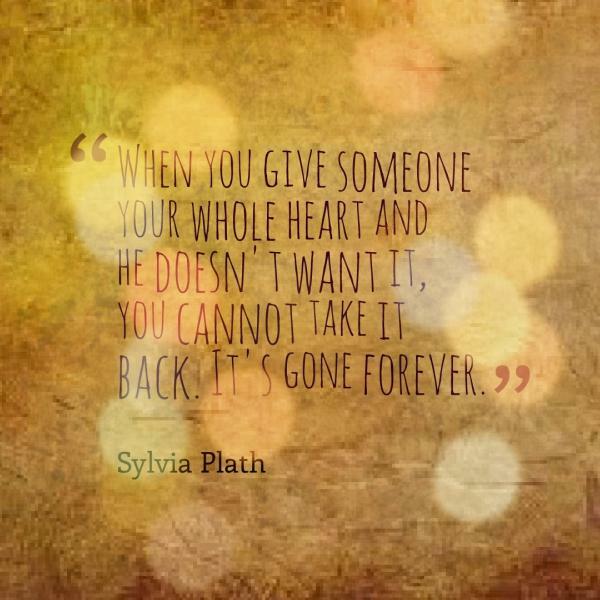 "When you give someone your whole heart and he doesn't want it, you cannot take it back. It's gone forever." 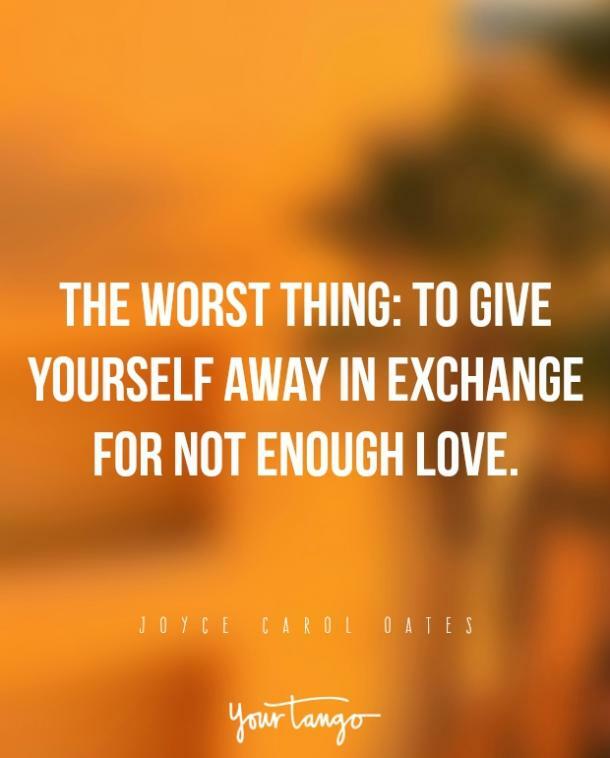 "The worst thing: to give yourself away in exchange for not enough love." ― Joyce Carol Oates, "Death Mother"
"How do you make yourself not like someone?" 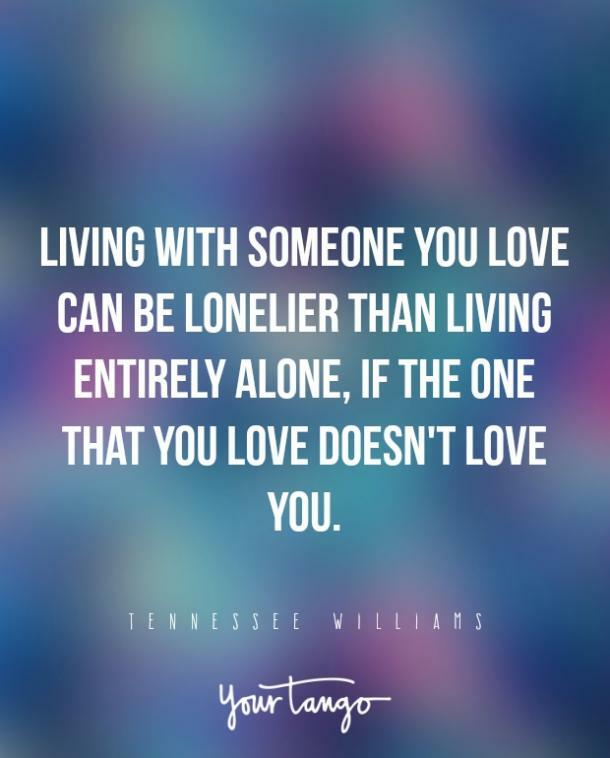 "Living with someone you love can be lonelier than living entirely alone, if the one that you love doesn't love you." 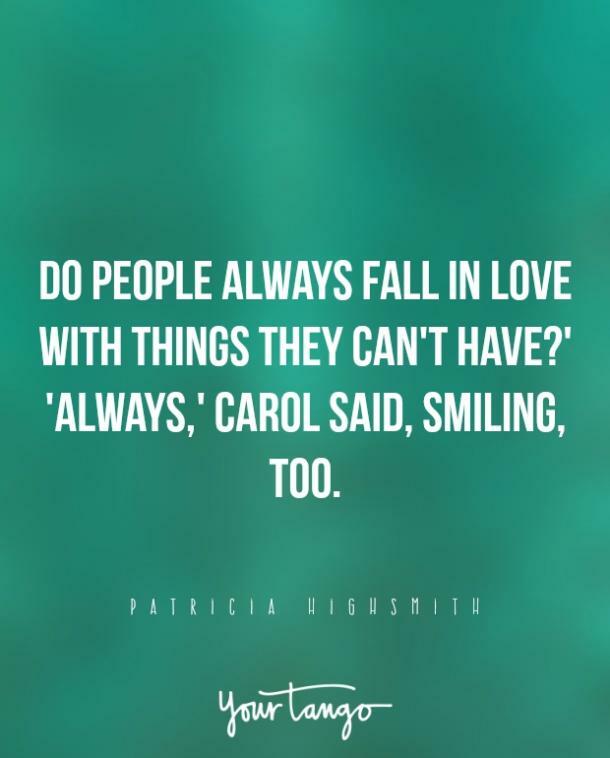 ― Tennessee Williams, "Cat on a Hot Tin Roof"
'Always,' Carol said, smiling, too."